It looks pretty trick, so I thought I’d document here some stuff about replacing reservoir hoses for brakes (and hydraulic clutches) with Tygon tubing. 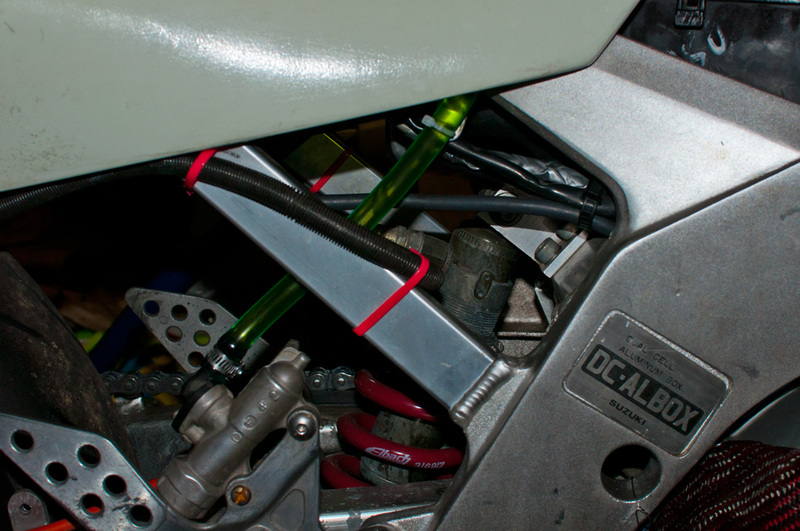 Most clear tubing isn’t brake fluid safe, but the Tygon ultra chemical resistant stuff is. You’re after Tygon 2075/2375 iirc. KurveyGirl sells it at a reasonable price. 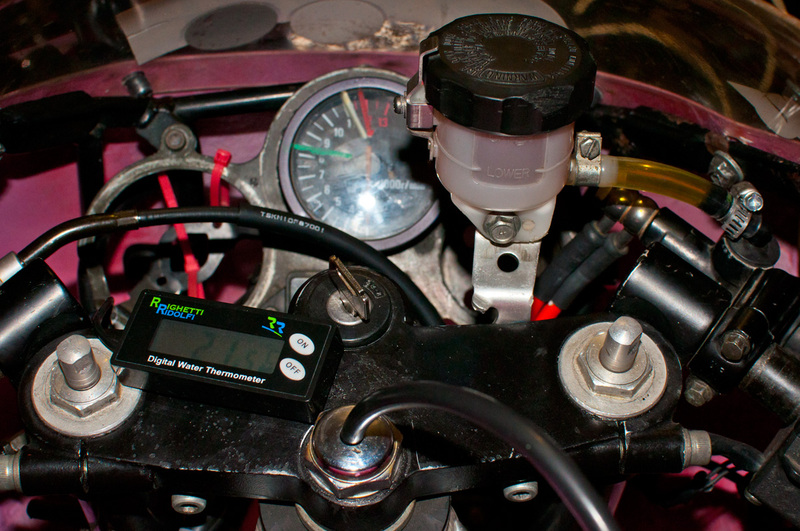 The HRC clear tubing (sort of slightly green) that Honda sell for the rear master cylinder reservoir delete kits for say RS125s etc is completely rubbish and sweats after about 8 weeks or so. It doesn’t fall apart but it’s clearly not 100% resistant either! 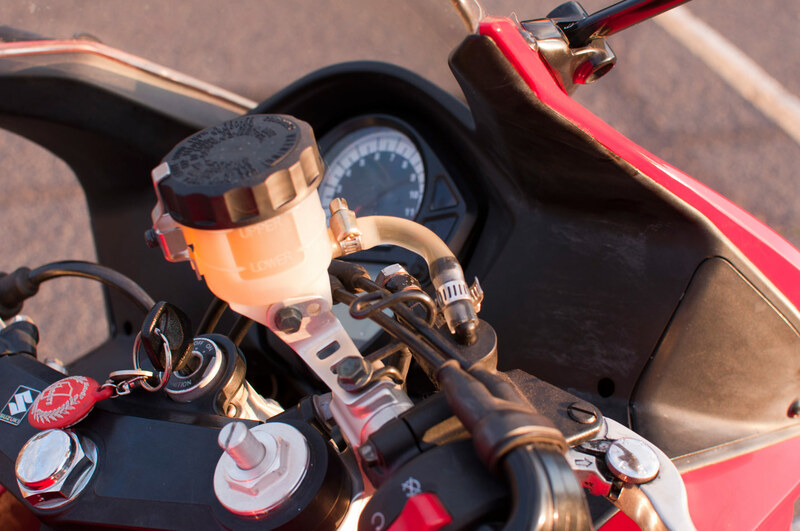 The Tygon comes in a few different sizes, but you’re after 1/4″ (~6 mm) ID for Brembo and Magura master cylinders, and 5/16″ (~8 mm) for most Japanese master cylinders. 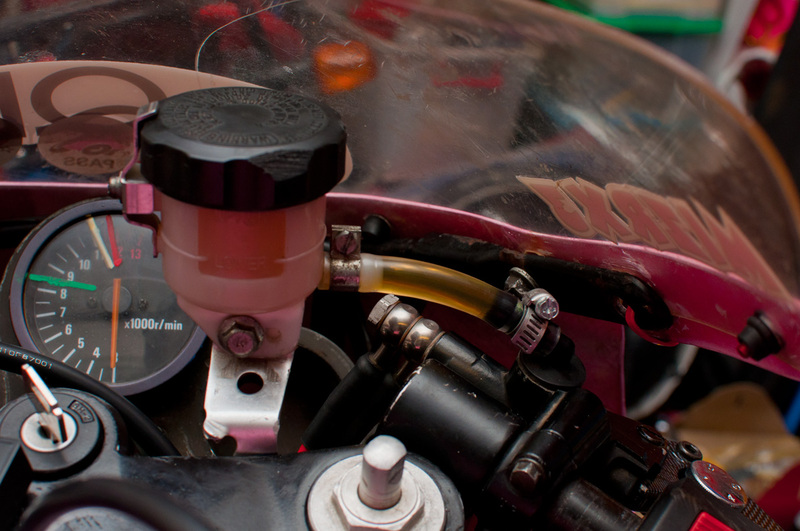 Rears on a lot of Jap bikes are nearly 10 mm input pipes, however you can get the Tygon over it by warming it over a steaming kettle (don’t get too much moisture there, not good for brake fluid!) and some lubrication with brake fluid.